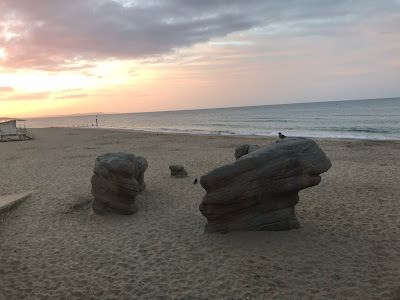 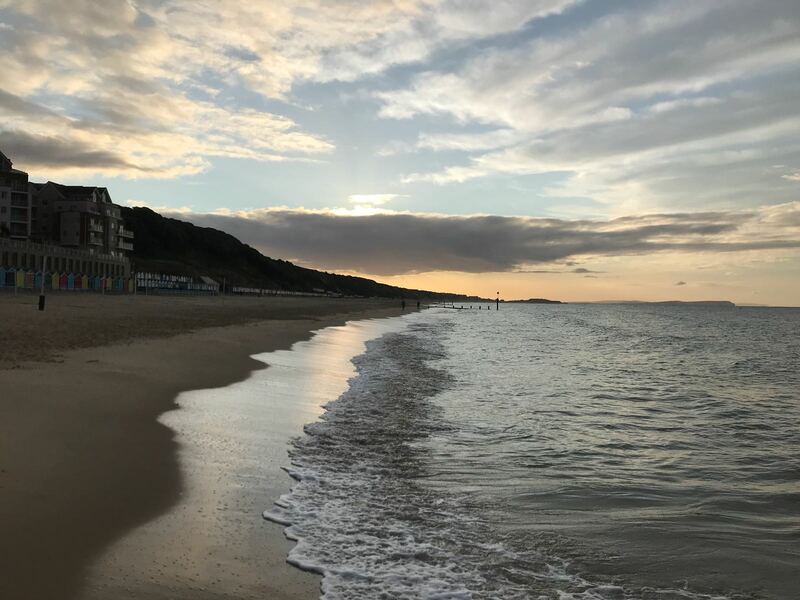 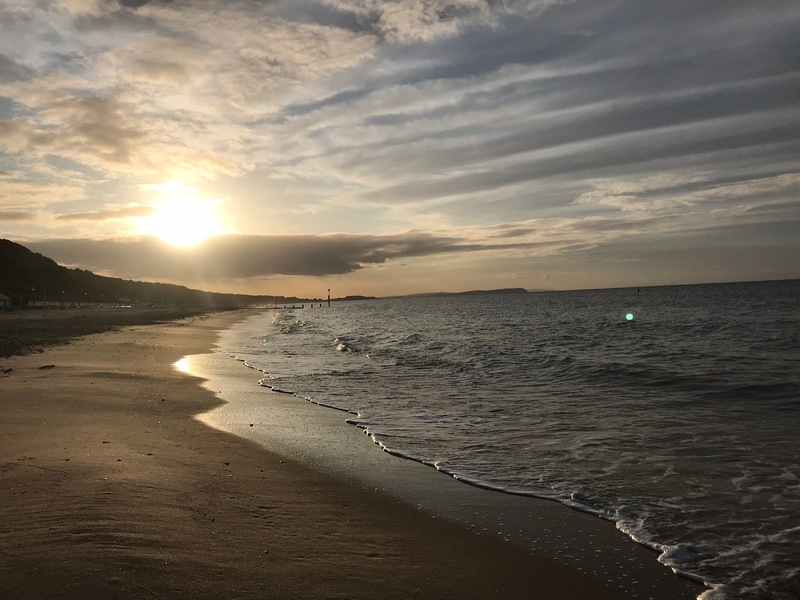 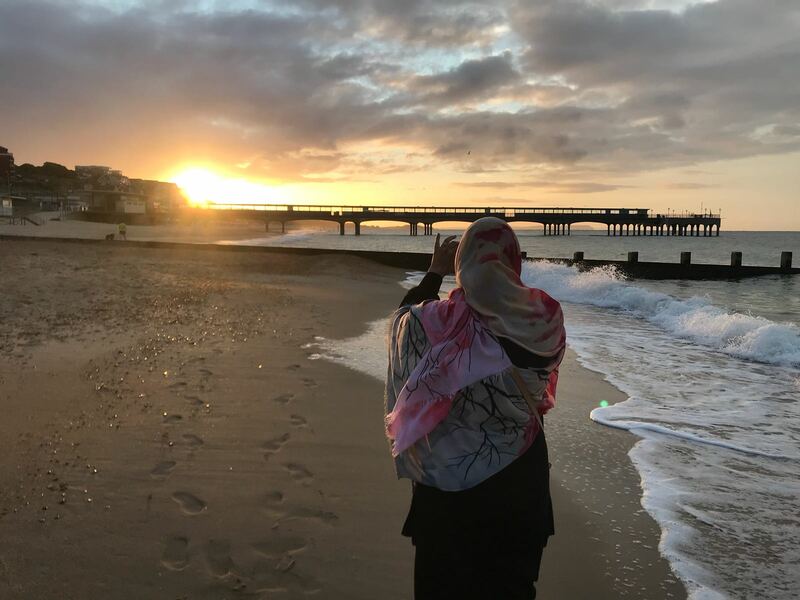 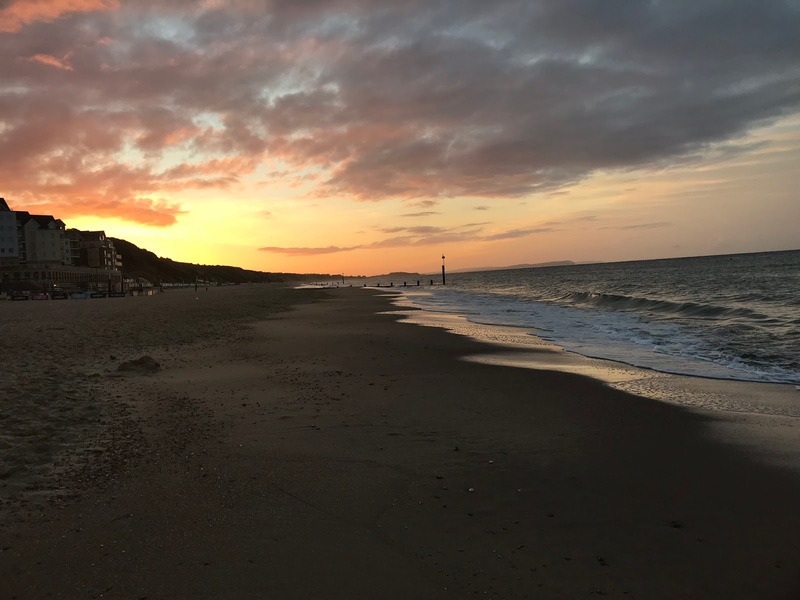 Whilst we were at Bournemouth I asked my husband to take me to the beach one morning after fajr (dawn prayers) without the kids. 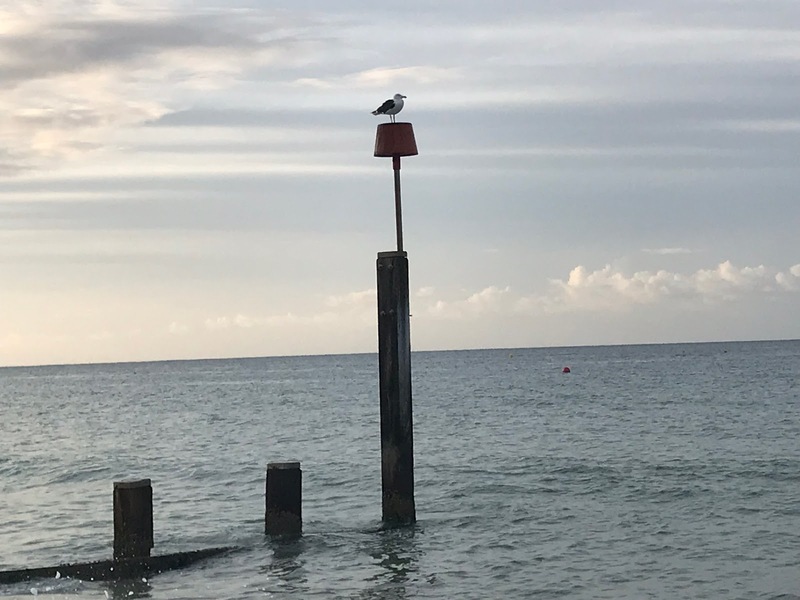 Just the two of us. 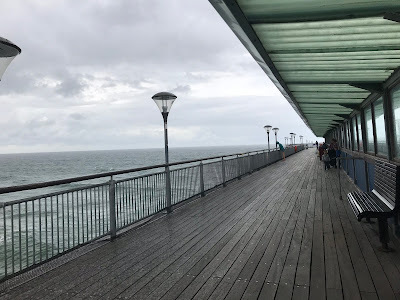 He readily agreed as his dad was with us and would be home with the kids. 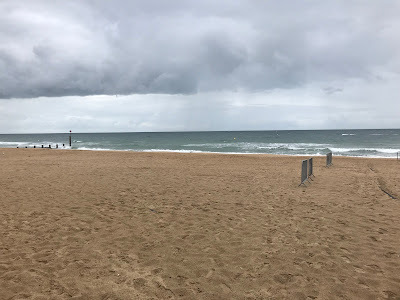 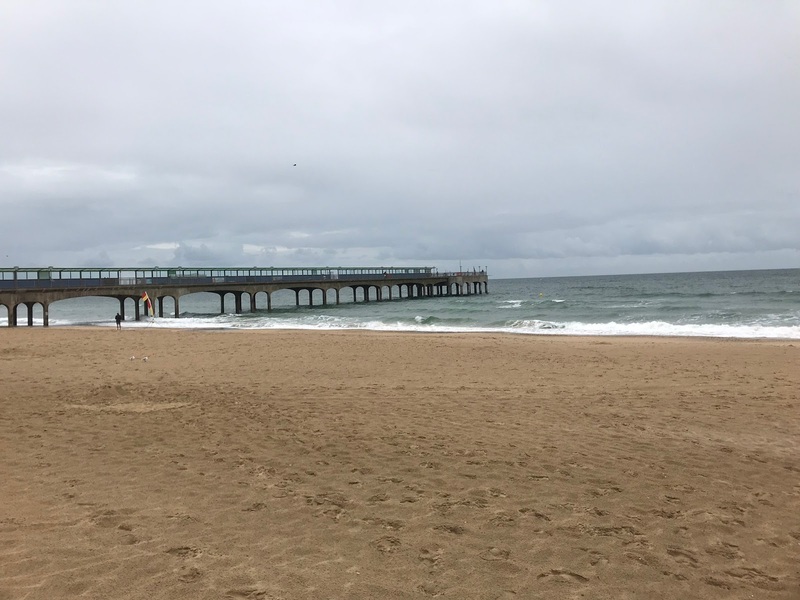 We snuck out early and took the short drive to Boscombe beach which was about the same distance away from us as Bournemouth beach. 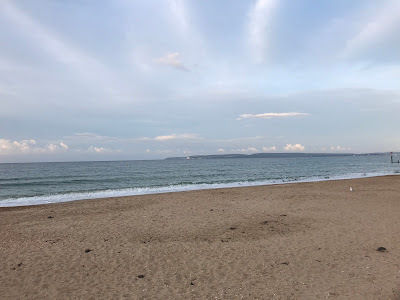 Unlike Bournemouth beach, the place was mainly deserted except for the odd runner or beachcomber in the distance. 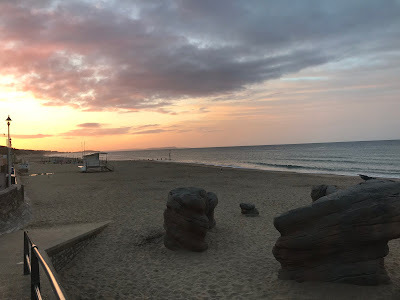 We enjoyed watching the sun come up and paint the sky on its way. Even more I enjoyed being the centre of my other half’s attention and laughing at his attempts at romantic Urdu poetry. 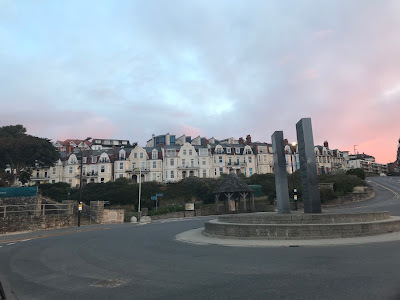 It felt so good to not worry about the kids for an hour or two, knowing they would be fast asleep and dad-in-law was pottering about back in the house we had rented. 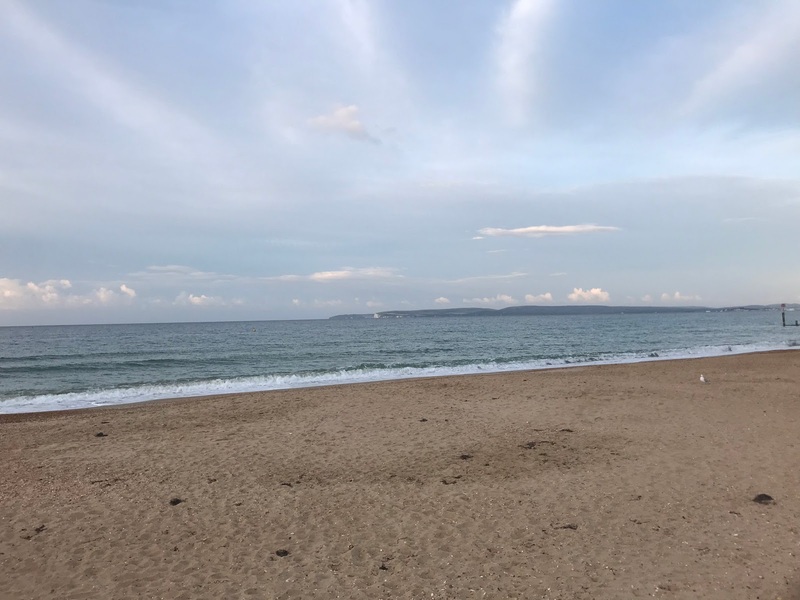 We enjoyed the sand under our feet, the waves lapping at our ankle and the fresh sea air. 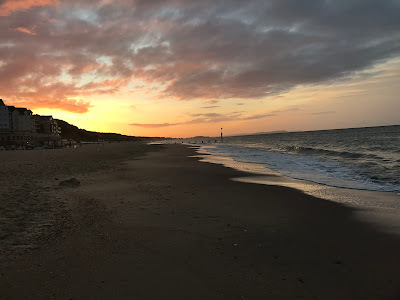 We found sea-shells to take back, I don’t think I have ever seen as many shells at a beach as I saw at Boscombe. 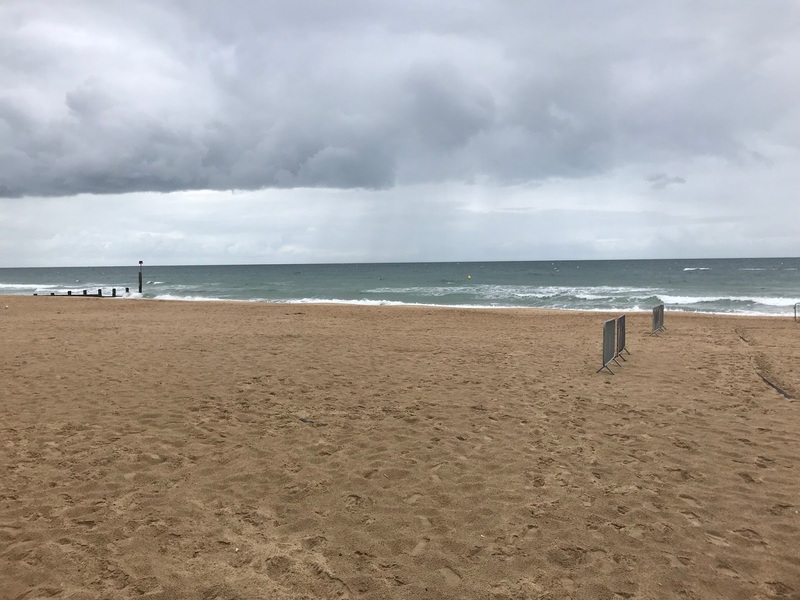 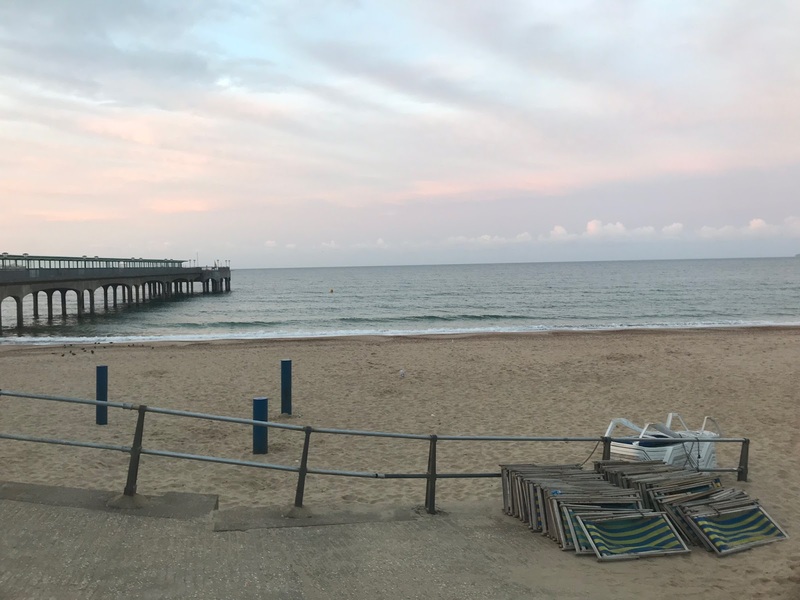 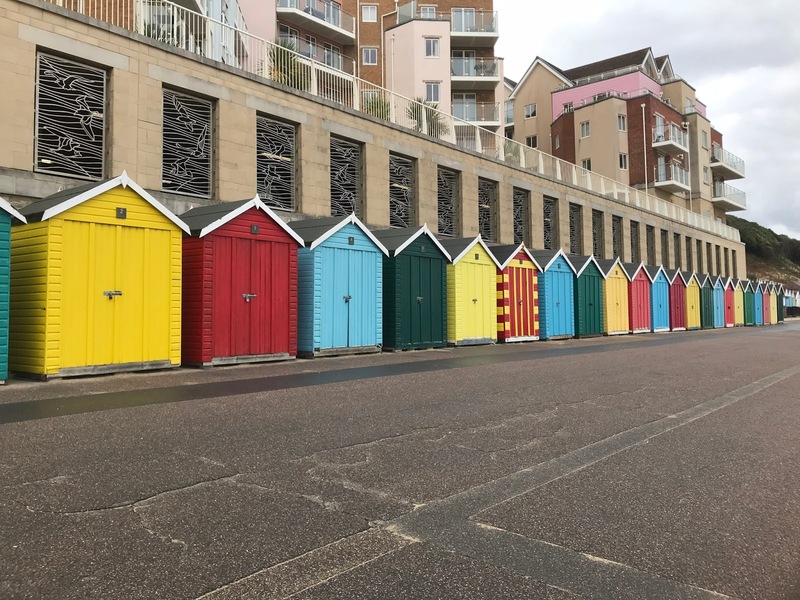 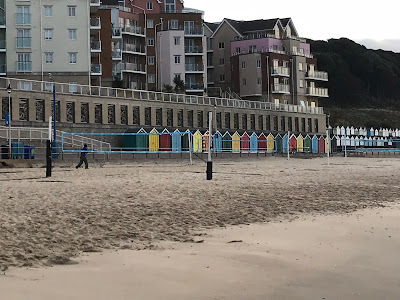 One thing I liked is that Boscombe seemed to have toilets and showers in the same place, right in front of the beach, to clean up after you have had a dip. 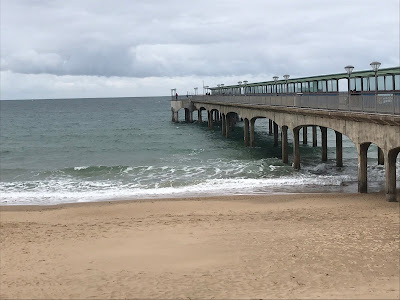 In Bournemouth, I struggled with the little ones trying to take them to the toilet and then finding a shower down the road which soaked me as I tried to rinse them off before changing them. 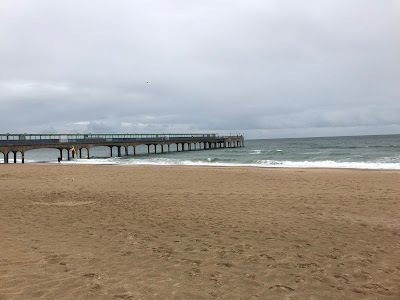 One the way back we took a look at the pier, unlike Bournemouth, Boscombe pier is free and a lovely modern design. 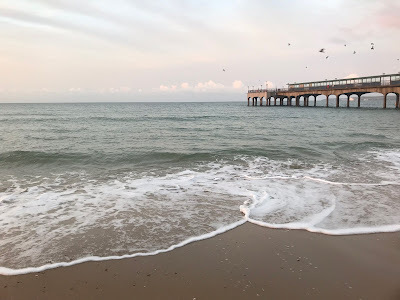 Definitely a beautiful, soulful way to start the day, and the kids didn’t even realise we had gone.